choose your plane wisely my friend. When you first begin amassing the tools for rod making, all makers have differing opinions on what is essential to completing a serviceable rod. Countless internet sites provide tool lists and contraptions, while published books attempt the same. 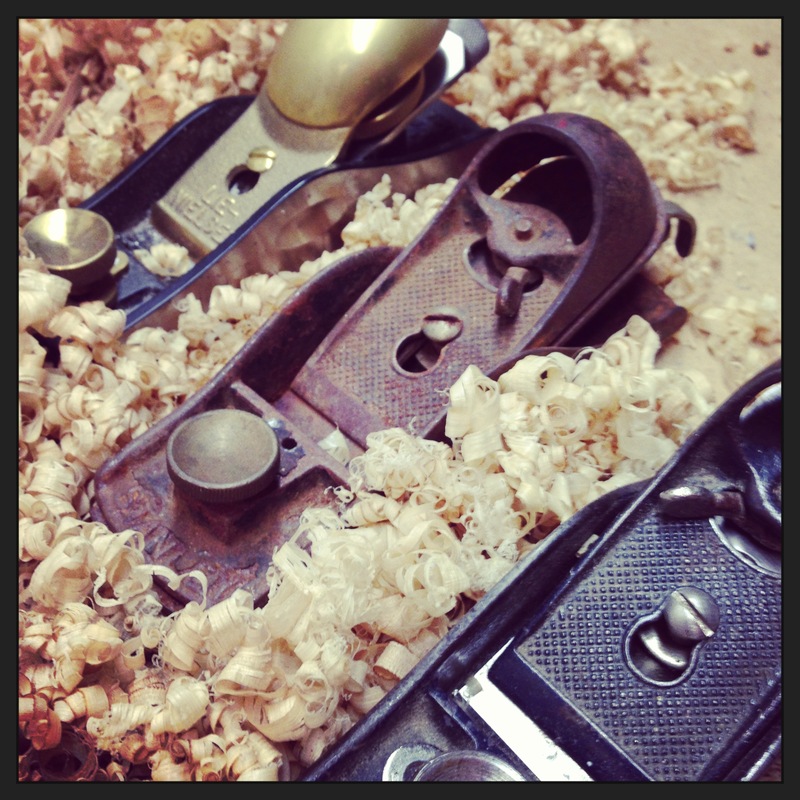 One tool universally agreed upon is a block plane. This is the cornerstone tool in rod making. It is the tool you see on book covers, photos, and the one thing you can’t do without. The plane of choice is the antique Stanley 9.5. An adjustable block plane. Antique because it is no longer produced. They produce a similar product today but it’s not the same steel or quality. So rod makers seek out this vintage plane. Most makers seem to suggest that this plane is easily attainable at your local garage sale or flea mart. My geography is against me as flea marts around here are filled with overseas knock offs; including everything from razor blades to electronics. After two trips to a local flea market, George and I gave up and dropped the money on Lie Nielsen American made version of this Stanley. No regrets whatsoever. It’s beautiful and more importantly an exceptionally functional tool. But that hasn’t stopped me from pulling my truck over when passing random yard sales. About a month ago I did just that, and found myself rooting through a box of old rusty tools on a stranger’s lawn. My heart stopped when I pulled up a rusty old Stanley block plane. My adrenaline began to surge as I ran my thumb across the stamped 9.5 marking on the side of the plane. Once I positively identified the plane as the coveted 9.5 I mentally jumped into salesman mode. I had to play it cool, temper my excitement. Couldn’t let its’ owner realize the obvious rusty gold he was about to sell away. I calmly located the seller and asked “how much for the old plane?” When he responded $6 bucks, I’m sure most shoppers would have paused, and at least attempted to get his price rounded down to an even 5 dollars. Not me. I took a deep breath, attempting to suppress my excitement over the bargain on my treasure. Of course I bought it. Was barely across the street before I was reaching in my pocket for my cell to call Pops and tell him about my find. True to nick-name, ol’ “George Costanza” loves a deal like this. Now the tool itself was rusted so bad it was nearly unidentifiable. This believe it or not, is another perk of the deal for George. The old man extracts joy from refurbishing things back into use, especially a quality tool. Before he begins restoring something its use is more often than not undetermined. Despite an items orphan status he proceeds and once complete, strives to find it a purpose. And I get it. There is a great feeling of accomplishment when you restore something of quality back to useable condition. Just recently a guy contacted me about his Grandfathers bamboo rod he found in a closet. I could not ID the rod so I contacted my friend Sante Guiliani. Judging by the hardware, Sante guessed it to be a Montague and not worth much more than $60. Still offered to restore the rod to fishable condition for the guy, despite him not even being a fly fisherman. Tools, rods, or anything that was made with quality and integrity deserve to be put to intended use for as long as they can possibly stand it. That’s my belief anyway, and apparently pops as well. Luckily for me, in this instance the plane has an immediate use. George cleaned it up to look new, and it’s planning alongside our Lie Nielsen. George and I both actually enjoy using the Stanley much better than our fancy high end Lie Nielsen. The Stanley has a wider sole, which seems to fit our hands better. Correcting angles, one of the most important steps in hand planning is also much easier with the Stanley as you can adjust the blade to take a deeper cut on either side or a strip, as opposed to leaning or tilting the lie Nielsen. If you can afford the time I highly recommend searching for an old Stanley. Bang the rust off, true the sole and sharpen the blade. We’re making clean accurate cuts with the original, and feeling damn good about it. This entry was posted in Uncategorized and tagged Bamboo fly rod, Bamboo fly rod fishing, Bamboo rod maker, block plane, Fishing, Fly fishing bamboo, rod making tools, Stanley 9.5, Stanley block plane. Bookmark the permalink.